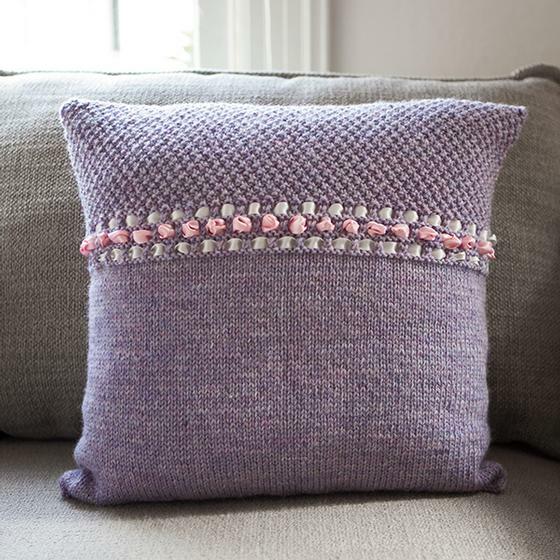 Like a row of mint-leaved roses growing at the edge of a wild field, the ribbon embellishment on this lovely pillow enlivens the simple contrasting textures. This sweet and simple pattern shows how a little decoration goes a long way. 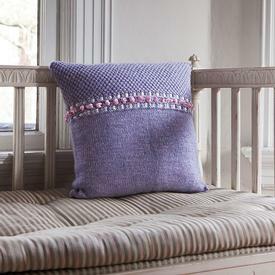 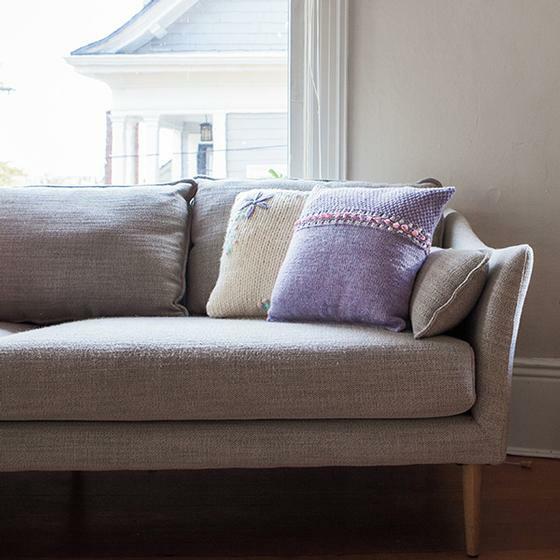 The Ingenue Pillow is worked in the round from a provisional cast on. 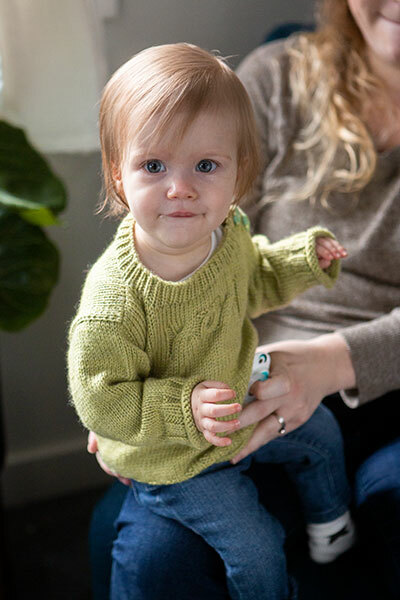 A triple row of eyelets separate the contrasting textures of Stockinette and Moss stitches. 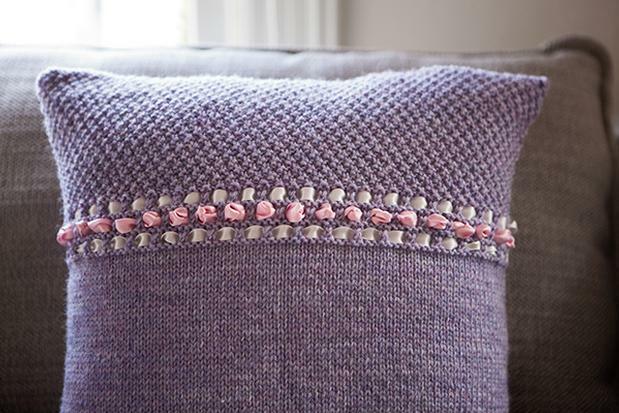 Colored ribbon is woven through the open eyelets to create a row of leafy roses.